Blackstar announce the launch of their new ID Series of programmable amplifers. Blackstar’s True Valve Power offers six different power valve responses – EL84, 6V6, EL34, KT66, 6L6, KT88. The Voice control has six different channels – Clean Warm, Clean Bright, Crunch, Super Crunch, OD 1, OD 2. The effects section delivers modulation, delay and reverb effects simultaneously that you can store with your sound. Deep editing and storing of patches uses the supplied Blackstar GUI software. Patches can be shared, uploaded and downloaded via the online community. The USB connector also allows you to record your amp directly to your computer. An emulated output, MP3/line input and midi footswitching complete the package. 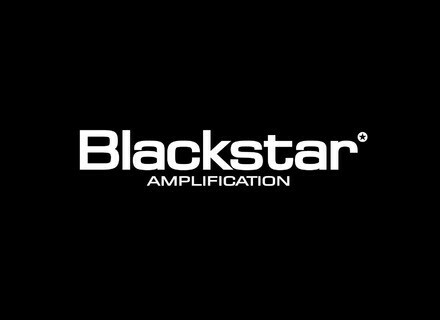 [Musikmesse] Blackstar Amplification HT-5TH To celebrate Blackstar’s 5th anniversary the company is launching a special, limited edition HT-5 2x10 combo. [Musikmesse] Blackstar Teaser Video Blackstar has released a teaser video hinting at new products to come at this year's Musikmesse. [NAMM] Blackstar HT Club 50H + HTV-412A Blackstar Amplification is now shipping its HT Club 50H Head and matching HTV-412A cabinet.